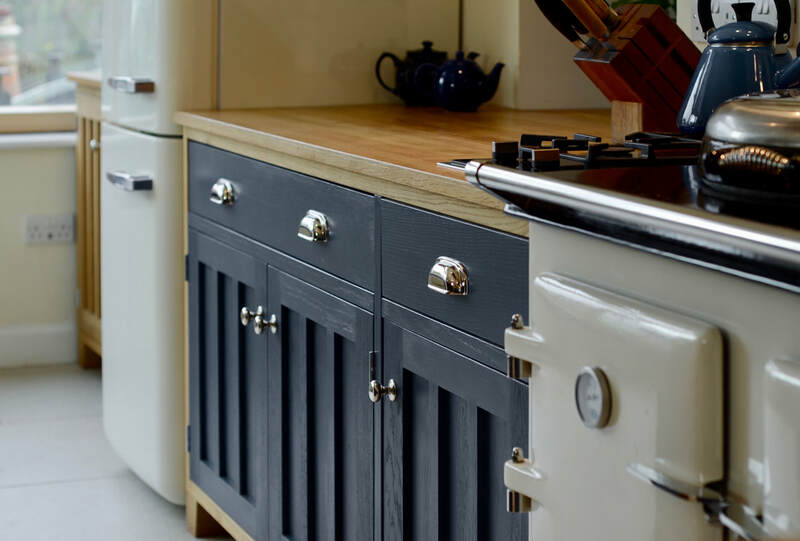 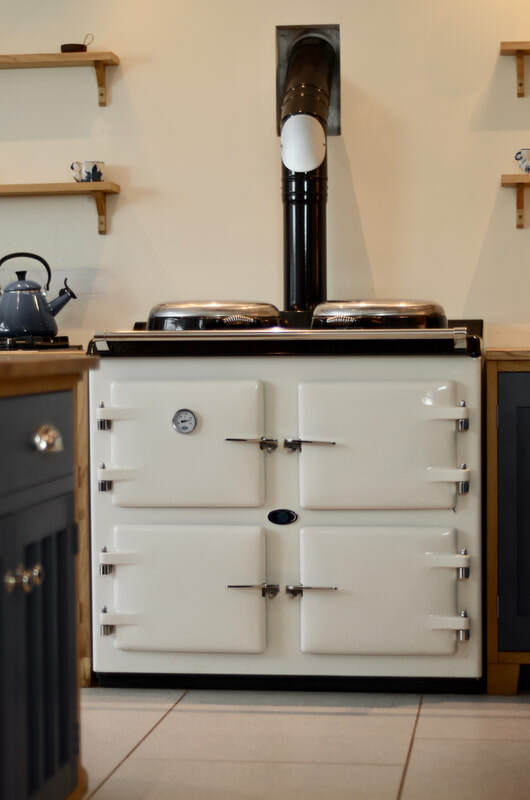 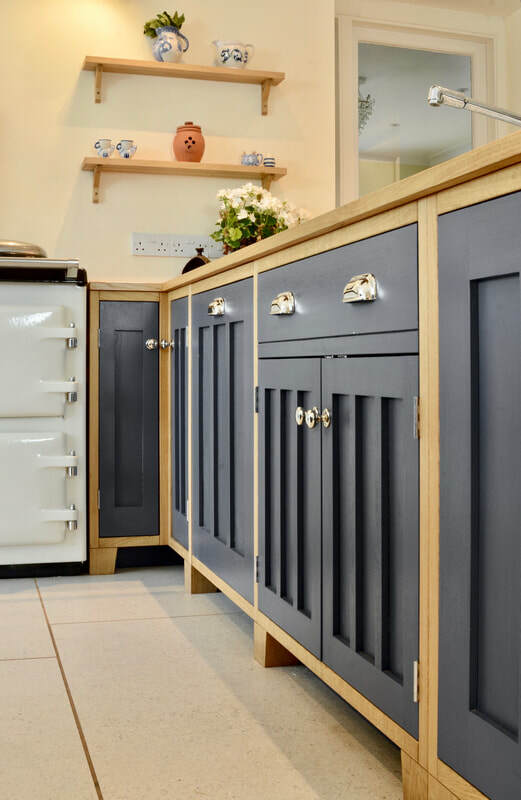 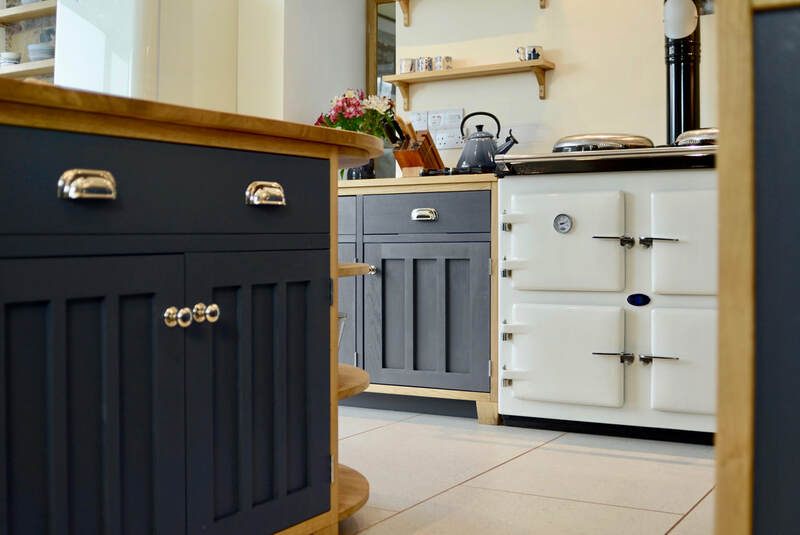 As part of a major refurbishment of a set of old farm cottages, the owners of this house were looking for a kitchen that incorporated some of the design features of the original kitchen, but with high quality materials and finish. 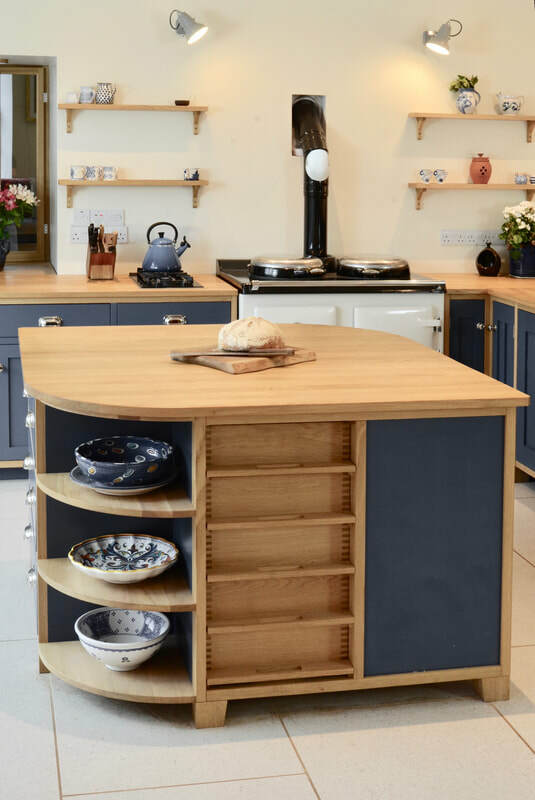 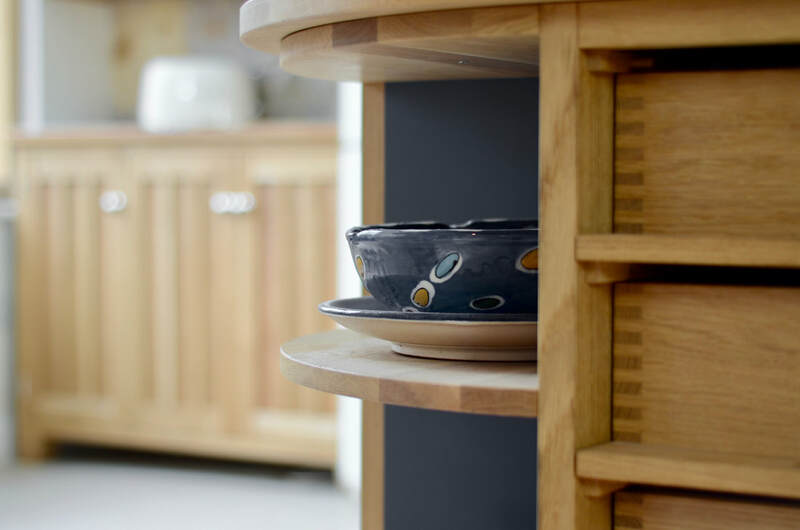 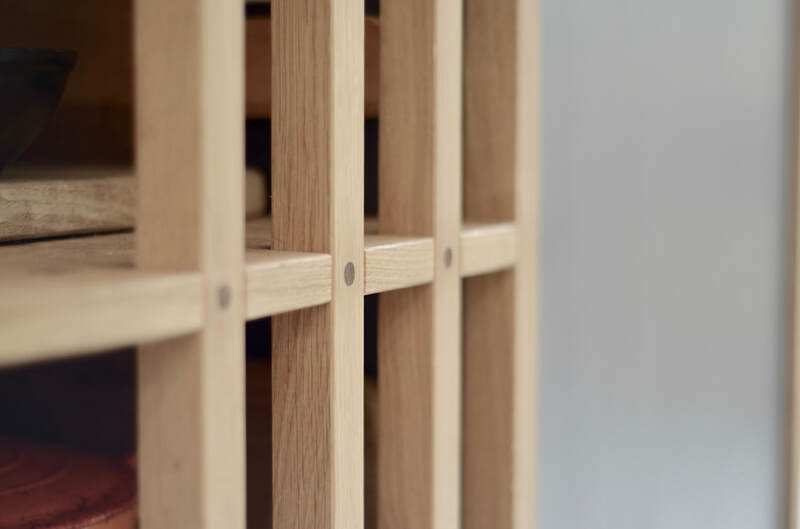 Although the room was widened as part of the rebuild and now feels spacious, the ceilings were quite low, so the clients were keen to keep the cabinet proportions appropriate to the space, to avoid them feeling too dominant. 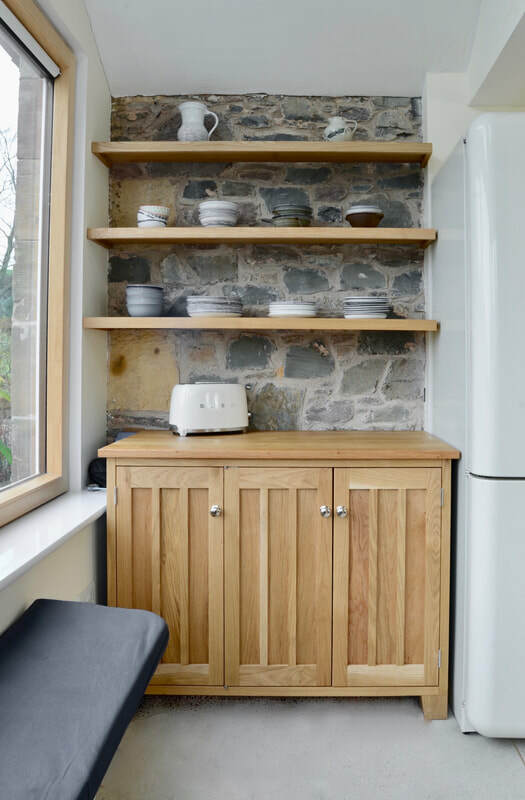 We avoided wall cabinets also for this reason. 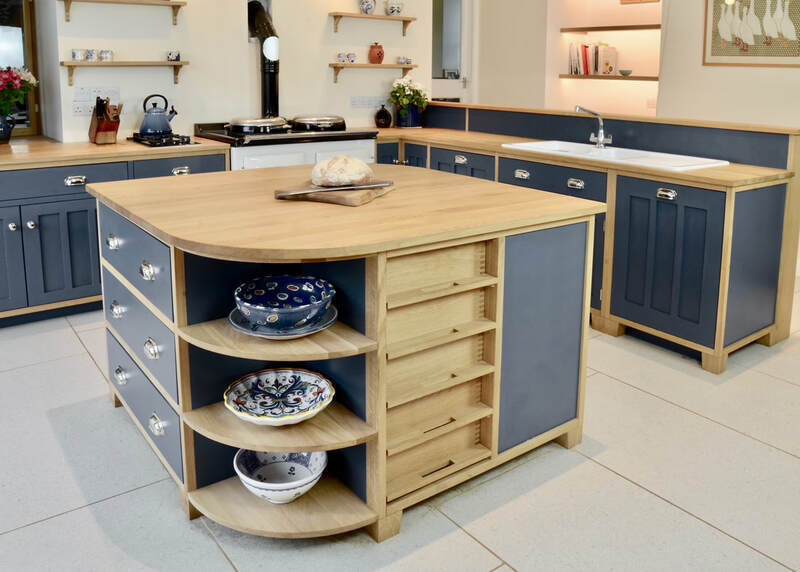 The central island is shaped to allow easy movement around the kitchen while preparing food and for diners and incorporates storage on all four sides. 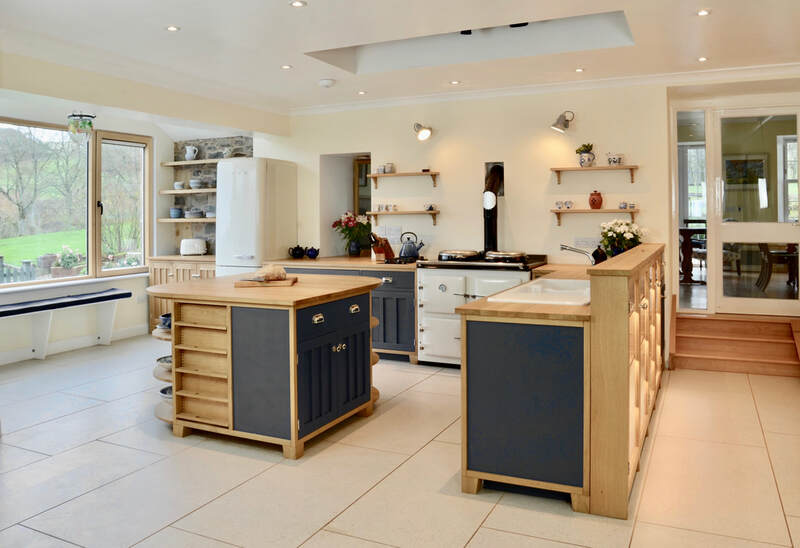 The clients have also found this to be the area that guests congregate around to drink and talk while the food is being prepared.